The Museum is open Monday, April 22, 10 am-6 pm. See how we're celebrating Earth Day Weekend. Every Tuesday and Friday. Free with Museum admission. Ages 3-5. 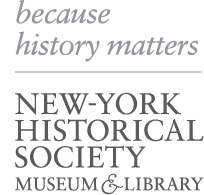 Each class includes time with historic toys, a special Little New-Yorkers hello song, story readings, and a related craft project.